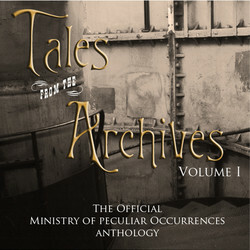 From the author who started it all and New Zealand's original podcast authoress, Tee Morris and Pip Ballantine return to Podiobooks.com with Tales from the Archives, a collection of original steampunk short stories set in the world of their award-winning series, The Ministry of Peculiar Occurrences. Featuring voices familiar and new, Pip and Tee invite you to sample the fantastic world of their shadowy organisation that fights for Queen and Empire against the mysterious and unknown. We will send Tales from the Archives: Volume One to your Kindle at . Tales from the Archives: Volume One has been sent successfully to your Kindle!